The Piranha (previously also named Megapiranha) is one of the creatures in ARK: Survival Evolved. Megapiranha magnadmorsus is carnivorous fish found fairly commonly in the rivers and ponds of the island. Its bite is incredibly powerful; I've even seen them break through the armored turtles of the island. Megapiranha has one of the strongest bites, pound-for-pound, of any creature on the island. When encountering a Megapiranha, be on the lookout for the rest of the school. No one Megapiranha is an overwhelming threat, but their tendency to swarm prey can make short work of much larger and stronger creatures. Any given Megapiranha is easy to kill, but killing the entire school can be a daunting task. Like some of the other creatures on the island, a tamed Megapiranha is best suited as a guard. 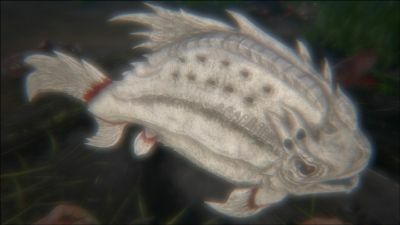 Their high metabolism makes them require more food than many other creatures, but they are very adept at hunting their own food, particularly the Coelacanths. Very aggressive to anything that is in their immediate vicinity, they will even attack the mighty Tyrannosaurus, although these attacks usually prove futile. Megapiranha tend to stay in groups of 4-5. In such numbers, they can tear through weak armor in a matter of seconds. Players who cross large bodies of water often find multiple schools converging on them, which can prove a problem even for the most advanced of players. Traversing the island's freshwater rivers and lakes can be a dangerous proposition, especially when the fearsome Megapiranha is in the area. As large as a coelacanth and far more aggressive, these fish usually travel in small groups to hunt, swarming weak and wounded animals in a flurry of snapping jaws and cutting teeth. The Megapiranha's rough skin and violent behavior make it unmistakable for any other fish species. This section displays the Piranha's natural colors and regions. 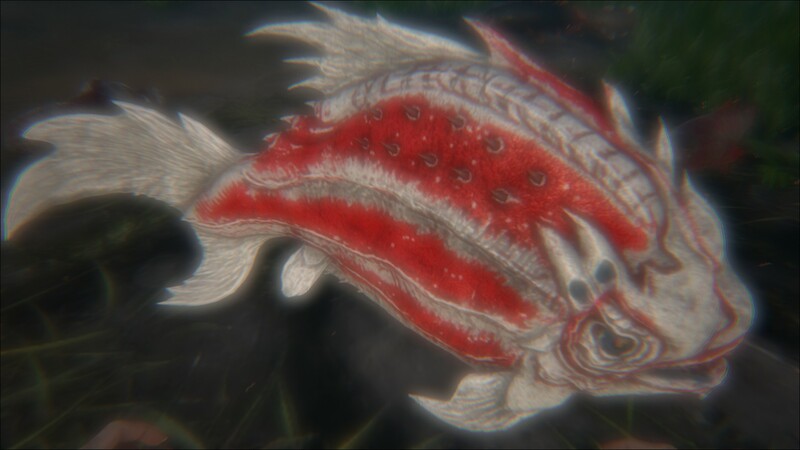 For demonstration, the regions below are colored red over an albino Piranha. The colored squares shown underneath each region's description are the colors that the Piranha will randomly spawn with to provide an overall range of its natural color scheme. Hover your cursor over a color to display its name and ID. 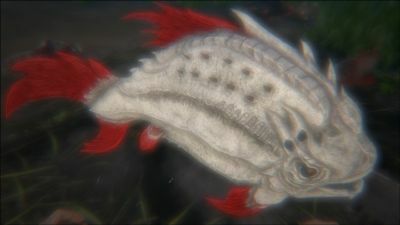 For example, "cheat SetTargetDinoColor 0 6" would color the Piranha's "body" magenta. 5The Piranha is incapable of drowning. The Megapiranha bites the target. The Piranha can be 'tamed' using a Fish Basket . However, their level are affixed, thus cannot earn any experience, and they do not eat from the trough. The engram for the basket can only be learned on Aberration and you need amongst other things 60 × Fungal Wood . 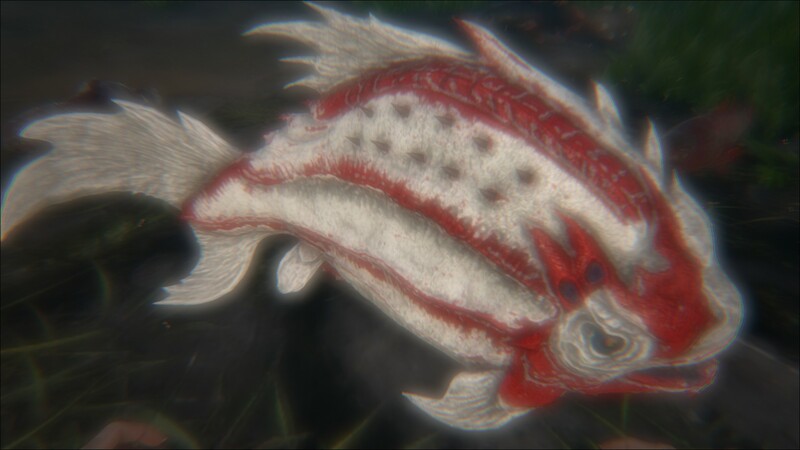 You can also transfer tamed piranhas or pre built fish baskets to the desired map via a Tek Transmitter. This section describes how to fight against the Piranha. Any melee weapon will suffice to kill them off, as they have relatively low health. Make sure that you do not stay nearby them for so long, as others will swim over and pile themselves on. At that point, it becomes dangerous. Stepping away from the water removes them as a threat entirely. Use the range provided by a pike or spear to poke at the Megapiranha from a distance. If possible, lure them to the shore and get them stuck in the shallows. It is not practical to use a ranged weapon, as they swerve often, and only crossbows work underwater. Before crossing a river just get deep enough to see underwater and look around for piranha, wait there long enough for any that are around to come to you, if nothing comes you are safe to cross, if they do come try to stand knee deep until they are pretty close and they may get stuck in the shallows. It is also wise to take a running leap across a river after you have checked it, this will help to clear the distance just in case. The best weapons to use are Pikes and Spears because they can hit the piranha without getting close enough for it to fight back. If the piranha is exposed you can hit it with ranged weapons like a slingshot or bow. Piranha employ swarm tactics to kill their prey. Make sure you stay as far away from them as possible, or if you feel confident, let them gather so you can hit them all at once. They have a small health pool, so they do not take a while to be killed if they are singled out and separated. 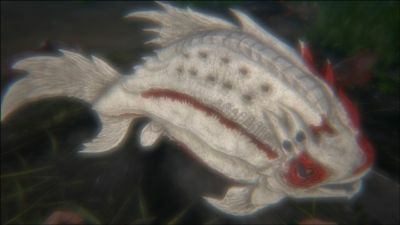 Piranhas can make crossing rivers difficult for survivors starting off in the game. It is recommended to try to find a shallow place to cross or avoid crossing altogether until you get some gear to protect yourself. If you have a corpse you can drag it into the water to potentially lure piranhas in either to find out if there are any and/or eliminate them. The Piranha's design is similar to that of the titular fish in "Piranha 3D", a 2010 horror-comedy film. The Piranha used to be named Megapiranha in game, but they are still named that way in ARK: Survival Evolved Mobile. The Piranha was not tameable until Aberration was released. Even though Piranhas lay eggs in real life it is unknown why the Piranhas in Ark don't lay eggs.